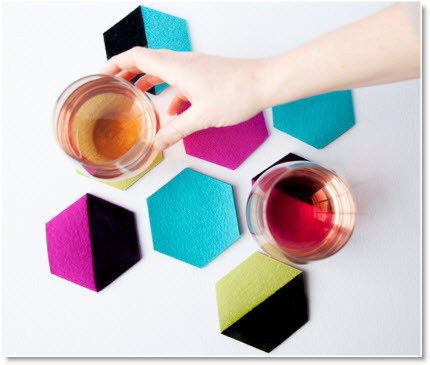 Courtney of “creative bug” has a complete tutorial on how to make “Hexi Felt Coasters”. Make a set of these for a gift or your home. The colors she uses are stunning and you can make this project following her tutorial.